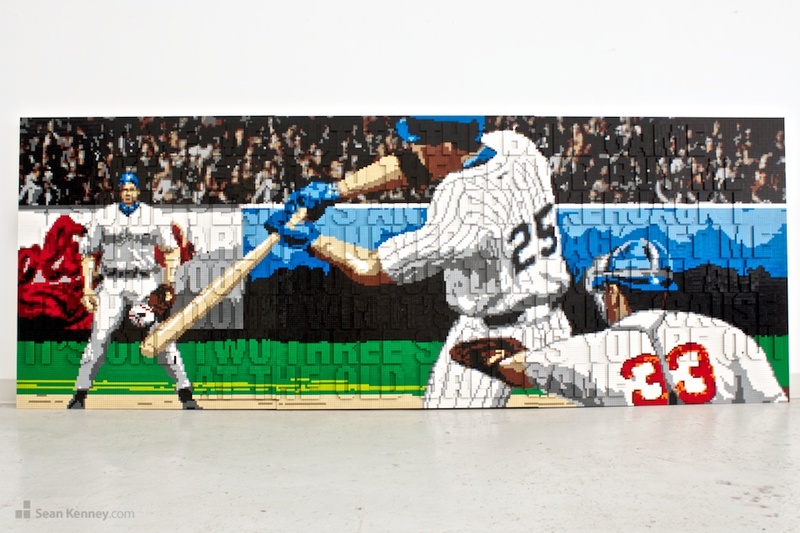 This 10-foot wide mural is built with over 55,000 LEGO pieces; raised lettering spells out the full lyrics of "Take me out to the ball game". It's part of my touring exhibit, Big Leagues Little Bricks, celebrating the beauty and lore of baseball as a part of Americana. The show is on display at the Louisville Slugger Museum now through September 2013.